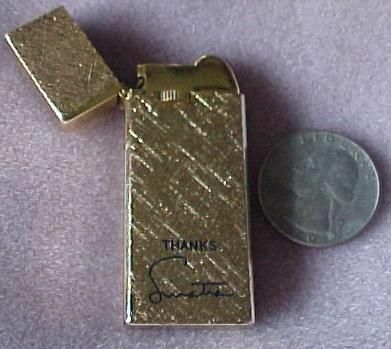 Frank Sinatra was known to carry with him and give to friends Cigarette Lighters with his name imprinted on them as a token of his thanks. These lighters would simply say "Thanks Sinatra". What more needs to be said. We have been fortunate enough to acquire two of these in the past few years. This particular one was never taken out of the box and is unused. The imprinted autograph puts this lighter in the early 70's era. 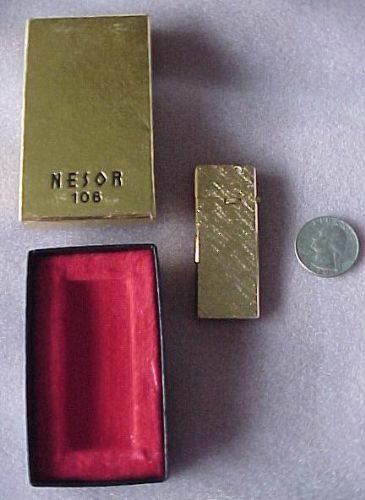 This personal lighter once belonging to Frank Sinatra is slightly used. A very rare, unique treasure from the Chairman. 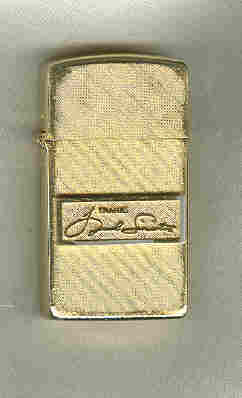 The imprinted autograph is vintage and places this lighter in the early to mid 50's.